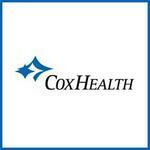 During a time of year when calendars are jam-packed with parties and family get-togethers that all seem to center around food, CoxHealth Fitness Center Branson is unveiling a program that will help people avoid adding inches to their waistlines and rewards them for dropping pounds. The new weight-loss program, Win For Losing, runs November 10 through January 7. Prizes for the participants who drop the largest percentage of weight include day passes to Silver Dollar City and White Water, fitness center memberships and massage services. The cost is $99 or $75 for existing fitness center members. The first weigh-in is set for November 10 with the weigh-out scheduled for January 7. Winners will be announced on January 8. For more information or to register, call 417-348-0060.